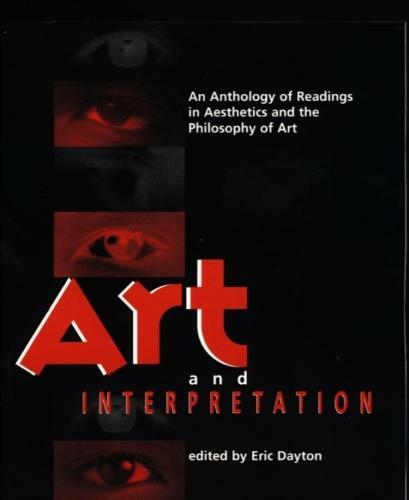 Art and Interpretation is a comprehensive anthology of readings on aesthetics. Its aim is to present fundamental philosophical issues in such a way as to create a common vocabulary for those from diverse backgrounds to communicate meaningfully about aesthetic issues. To that end, the editor has provided selections from a wide variety of challenging works in aesthetic theory, both classical and modern. The approach is often cross-disciplinary. Within the discipline of philosophy it seeks to balance readings from the analytic tradition with continental European, hermeneutical postmodern (including deconstructionist), and feminist readings.The anthology is thus broadly conceived, but by grouping the readings into sections such as 'Expression and Aesthetic object, ' 'Psychology and Interpretation, ' 'Marxist Theory, ' and 'Culture, Gender, and Difference, ' it aims as well to provide depth of coverage for each topic or issue. The book opens with a historical section containing substantial selections from Plato, Aristotle, Hume, Kant, Shelley and Nietzsche; these readings introduce themes that recur and are developed in the remainder of the anthology.